In this photography by our bird monitoring volunteer Joe Taylor, we see that the birds of Laguna de Apoyo Nature Reserve are truly esthetic beings. These photos were taken on mist netted birds while they were being processed by FUNDECI/GAIA staff, prior to returning to the wild. They show some of the wonderful details that we may never appreciate even as birdwatchers. Our technicians gather data on the bird populations by mist netting which is very important for conservation efforts, but we also enjoy the esthetic experience of admiring the birds from near. 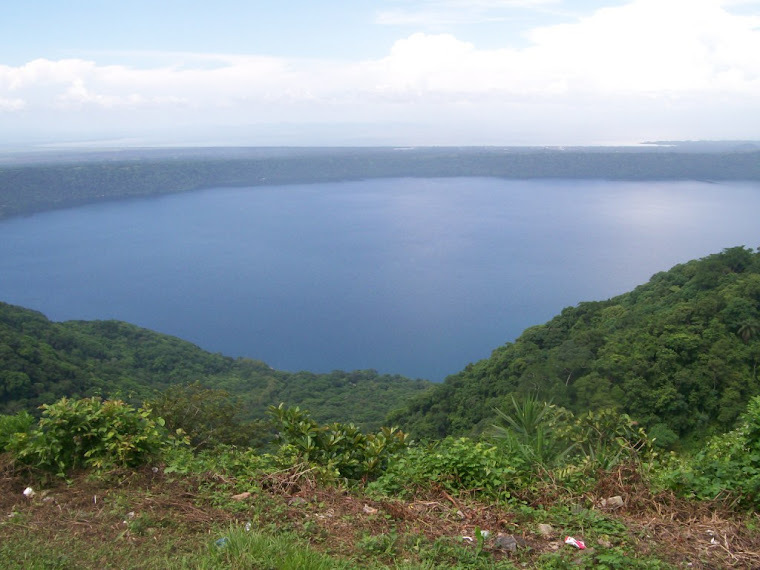 The birds were photographed in Laguna de Apoyo Nature Reserve, where all of them reproduce. We hope you enjoy them as much as we do. Lesser Ground-Cuckoo (Morococcyx erythropygus) in Laguna de Apoyo Nature Reserve, Nicaragua. Photo by Joe Taylor. 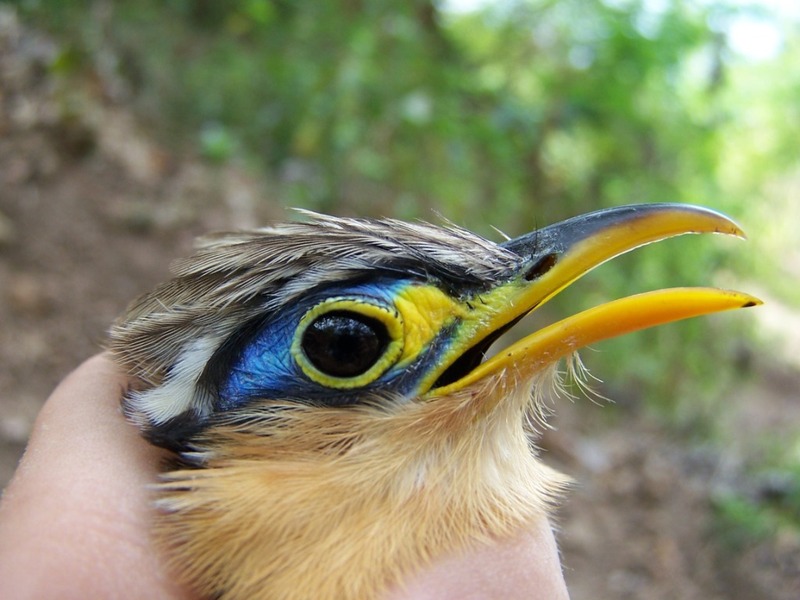 Several cuckoo species are found in Laguna de Apoyo Nature Reserve, and they are not, at first sight, very similar birds. The Lesser Ground-Cuckoo (Morococcyx erythropygus) occupies degraded areas, and spends most of its time walking through low brush, on the ground. It is heard much more often than seen, giving a sound much like an insistent police whistle repeating. Folks here call it the "pajaro reloj" or the clock bird, because its call is reputed to be given on the hour, every hour. It nests on the ground, and its existence is threatened by domestic cats. Please don't bring cats into natural areas like this one! The Lesser Ground-Cuckoo is nothing short of spectacular when viewed up close. Olive Sparrow (Arremonops rufivirgatus) in Laguna de Apoyo Nature Reserve, Nicaragua. Photo by Joe Taylor. Dry tropical forest habitats usually have some grasses and other small-seeded annual plants in the many forest breaks, even when the forest is not heavily degraded by human use. 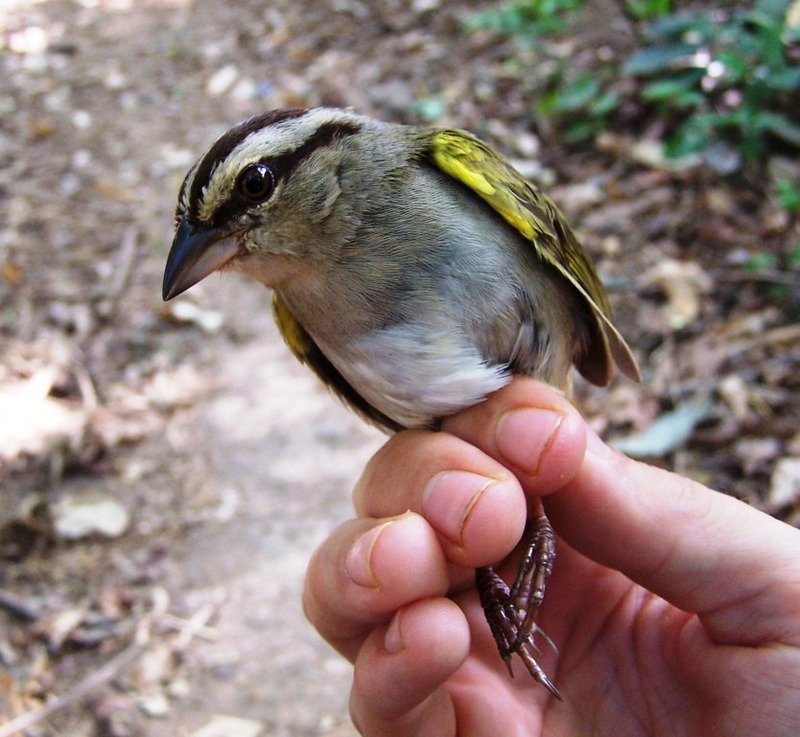 Among the seed-eating birds in Laguna de Apoyo Nature Reserve is the Olive Sparrow (Arremonops rufivirgatus). The population here is not well-documented, its only reports to date being ours. We have recently spotted a nest with eggs, and two chicks hatched. This is another ground-nesting species, vulnerable to our beloved pet cats. Please keep your cats out of natural areas! Female Long-tailed Manakin (Chiroxiphia linearis). Photo by Joe Taylor. Immature male Long-tailed Manakin (Chiroxiphia linearis). Photo by Joe Taylor. 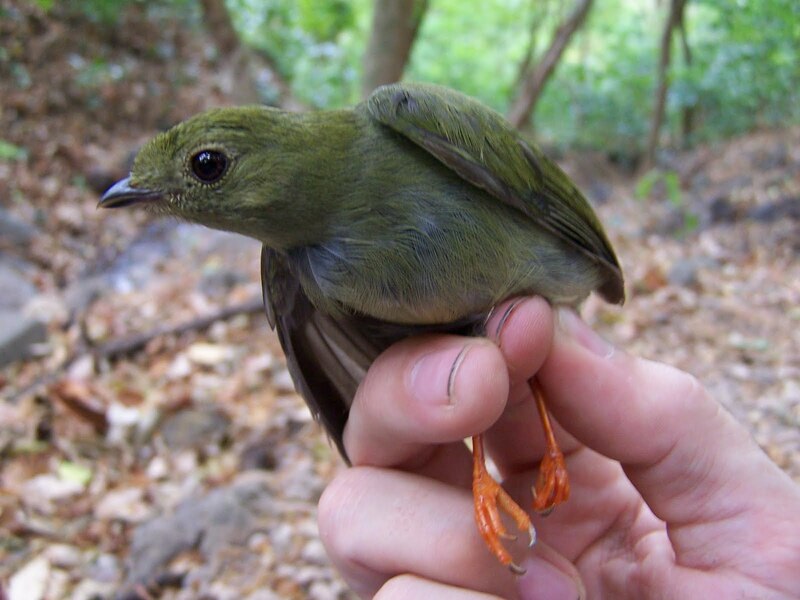 The Long-tailed Manakin (Chiroxiphia linearis) is the most commonly caught of all the bird species in our monitoring program. This is because we are located in prime habitat for them, in a sheltered area with lots of vegetation and food sources (they mostly eat fruit). The location is used for breeding, where males perform, quite literally, a song and dance to attract the females. Males perform the ritual in pairs, and the senior male gets the lady when she chooses the most attractive contestant. Males take up to four years to complete sexual maturity which is reflected in their plumage. We may catch as many as forty of this species in a single three-day period of mist netting. Turquoise-browed Motmot (Eumomota superciliosa) and Blue-crowned Motmot (Momotus momota) in Laguna de Apoyo Nature Reserve, Nicaragua. Photo by Joe Taylor. 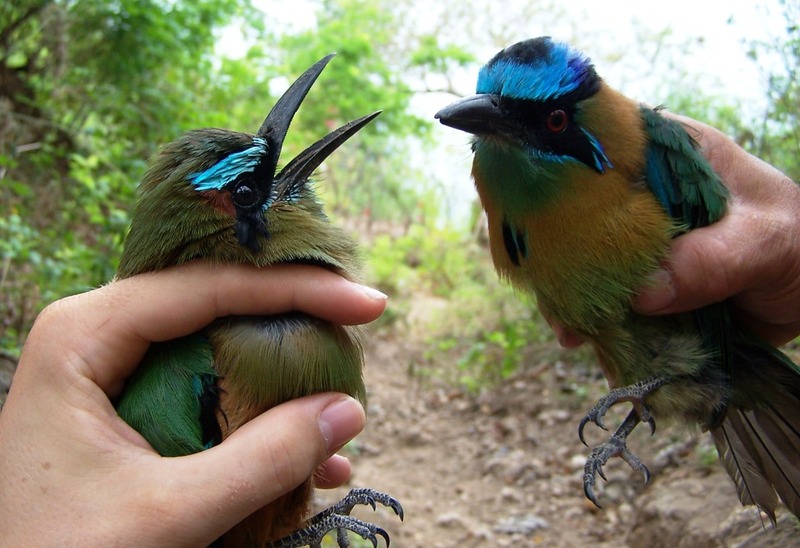 Among the emblematic birds of Nicaragua is the Turquoise-browed Motmot (Eumomota superciliosa), which is quite common throughout the Pacific region of the country. The Blue-crowned Motmot (Momotus momota) is considerably less common in most of the range. 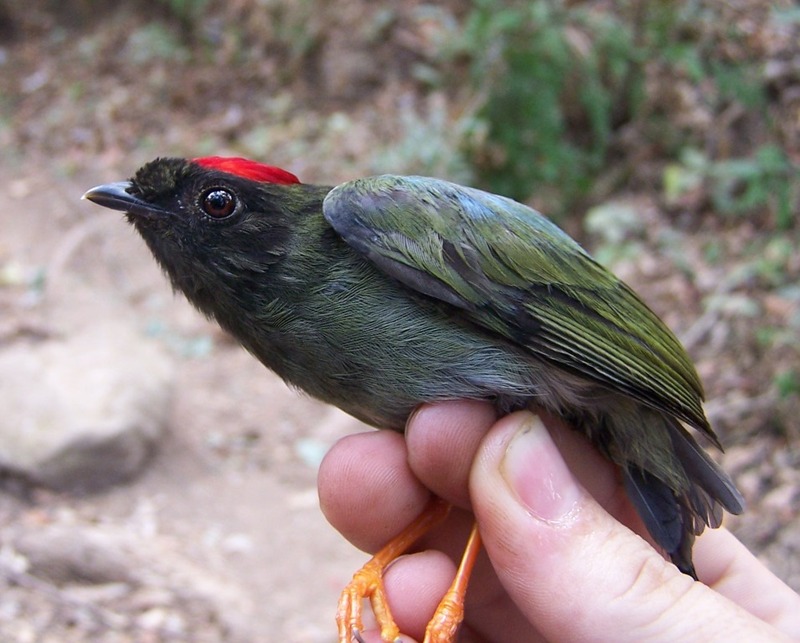 The subspecies found in Nicaragua has a black cap over the blue crown. Both motmot species nest in horizontal holes in dirt banks, and they catch flying insects on the wing as a principal component of their diet. They are both known as Guardabarrancos in Nicaragua, and the former is the national bird. Dusky-capped Flycatcher (Myiarchus tuberculifer) in Laguna de Apoyo Nature Reserve, Nicaragua. Photo by Joe Taylor. Lots of species of flycatchers are resident to Mesoamerica, and others migrate here from south or north. 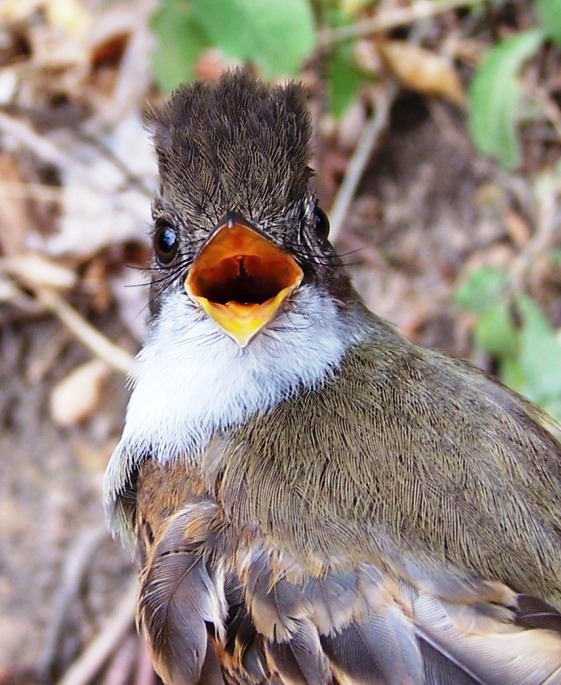 The flycatchers have bristly whiskers to help to guide their prey into the mouth. Shades of your aunt with the bristles on her chin, wanting to give you a kiss. It is not easy to distinguish them while birdwatching. Among the most common of flycatchers in Laguna de Apoyo Nature Reserve is the Dusky-capped Flycatcher (Myiarchus tuberculifer). This individual demands the last word, it appears. Mercury in the news in Nicaragua.